When I show my city/town maps to people I often get the comment that the style make them look like something from a fairy tale book. With this in mind I thought it would be fun to play around a bit with my latest map, and put it in a book. The question was just how should I do it? Some time ago I backed a project called the Lamp Post Guild over at kickstarter. As a thank you for doing this I received some really nice goodies the other week, brushes for Photoshop, nice wallpapers and some really good textures. One of these textures was of a old looking book page. So I thought I could use that for my little project. The first thing I had to do was to make the single page into a double page, which was quite easy in Photoshop. I also removed some of the stains from the copy and added some new. It would look strange if both sides were identical. After that I just added the map and removed a small part of the border to make it look like the map was painted on the page. Next problem was to decide what to write on the remaining pages. One of the best campaign/adventures I’ve ever played for a RPG, be it English or Swedish, is the one named “Konfluxsviten” by Erik Granström. When he published the campaign rules for his island world Trakorien he did it as a story of a monk travelling around the islands. So I thought I do the same here. Why not describe the town through the eyes of a traveller that is passing by. I thought of this traveller as if he came from the more densely populated coastline of Armadien and now he was documenting his trip through the large forest that the Vadsbro province consists of. In this way I could get a more fun way of presenting the town, and it would feel more like something you actually would find in a book. This is my latest map made in City Designer 3 (CD3) from Profantasy. 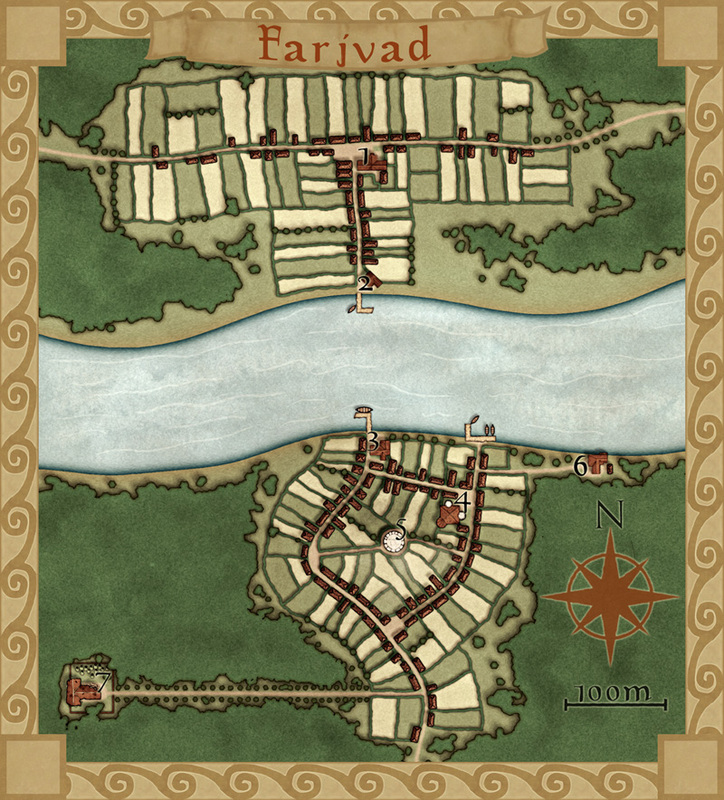 It depicts the village Farjvad in the province Vadsbro and is part of the campaign/adventure I’m working on at the moment, even though I’ve mostly made maps so far. Farjvad is situated about a day’s trip north east of the main town in the area, Vadsbro. Farjvad won’t actually be of importance for the adventure I’m writing, but it will still be a part of the campaign information. As you might have noticed I like to make maps, and making the adventure/campaign gives me some good reasons to do that. I also figured out that if I only have maps of the villages where the adventure takes place the players will rather quickly figure out what places are of importance and which ones are not. Also this will make the adventure feel much more unscripted if the players can go wherever they pleasein the area and the GM will have a nice map of the place. So how did I go from a blank page to a finished map? What shall you think about while making a village map? First of all you have to decide where the village is situated, is it in a forest or a desert? The environment gives as well takes away possibilities for the map. In my case I know from the overland map of the province Vadsbro that Fjardinge is a village that is founded on two sides of a river, only connected via a ferry in the middle of a large forest. I also decided that the south part of the village was the old one and that the north side is the new part where recent expansion of the village has taken place. Because that the village is situated in the middle of the forest there had to be some place for the villagers to go for protection if some kind of crises turned up. In this case I put a keep (nr 5 on the map) where the governor of the village used to live with his soldiers, maybe ten of them at a max. I could have gone with a palisade but in this case it didn’t feel right. I also added a temple (nr 4), all places must have somewhere to go for religious need. The ruined temple (7) just outside the village was deserted when the new temple was done. What resides there today is up to the GM to decide. Nowadays most travelers are using the northern road that leads from Vadsbro to the village Klyvholm. For this reason a newer part of Fjardinge has been built on the northern side. To make the sides differ a bit I decided to make the fields more square here, like they’ve been planned a bit. The big house at the square (nr 1) will also house the governor of the village (he decided to move here from his keep on the south side). 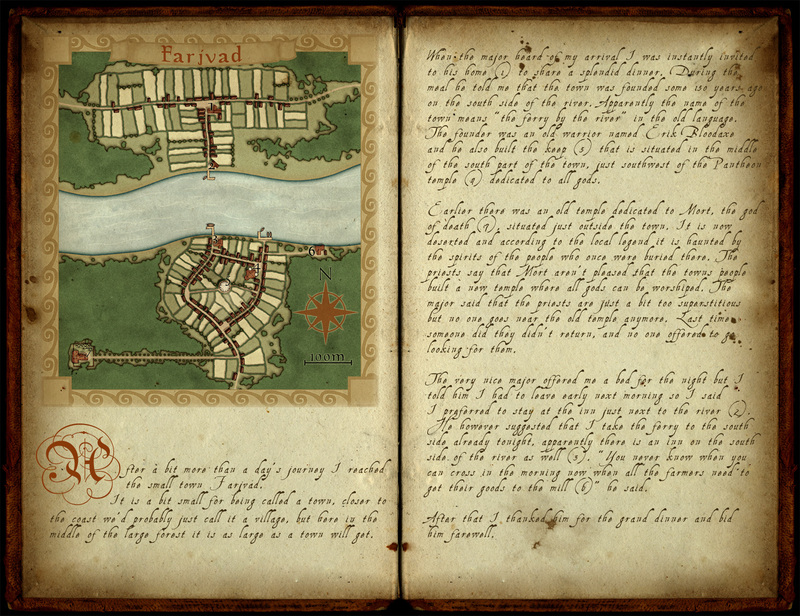 What I’ve actually have done here is making a story around the village and letting the story lead the way while mapping. I think I’ve stated this before on the blog, but having a story in your head while mapping usually makes your maps more interesting, which means a better end result. It is also a lot more fun to map when you have a picture in your head of what the place looks like, it is like seeing your ideas come to life. 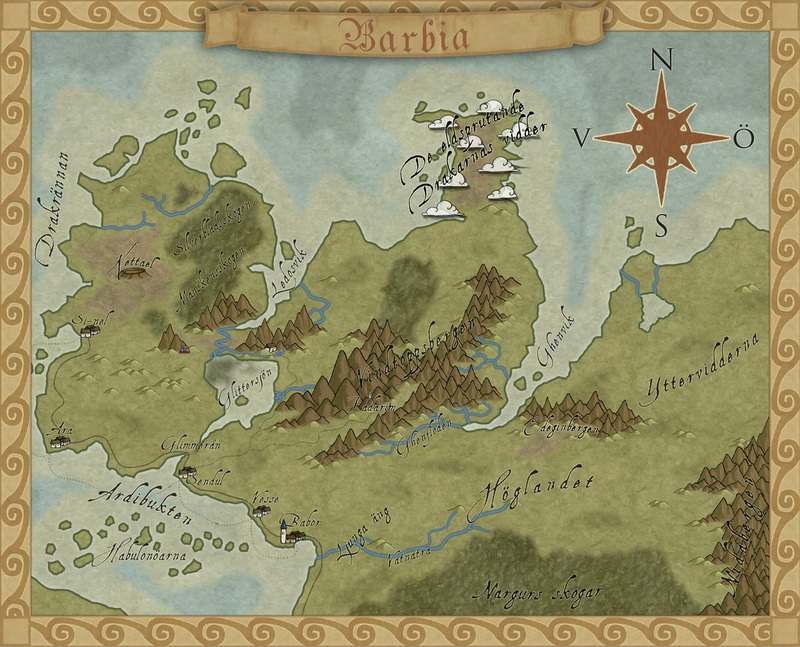 This is a map I remade in CC3 using the style I designed for Profantasy’s 2012 December annual. 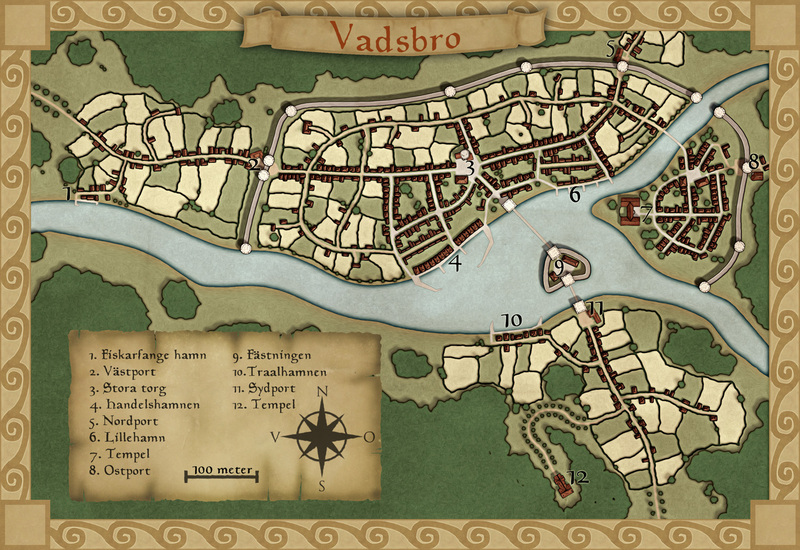 The map is a remake of an old campaign map from the adventure “Barbia” for Drakar & Demoner, an old Swedish rpg I used to play. I have very fond memories from when I played it even though the adventure marked the beginning of the fall for my dwarf character Thror Axebeard. In the end of the adventure he found a magic armor that unfortunately was possessed, and in the end it made him a rather evil dwarf. The campaign map in the adventure is in Black and white and I thought it would be fun to make a colour version of it. To complete the map I however had to make some new symbols for the style, that is the good thing when you designed the artwork for the style in the first place, you can always add in more symbols if you miss something. 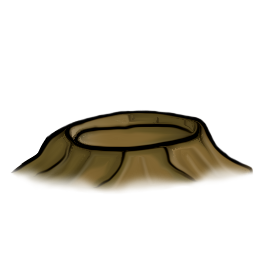 The first symbol was for the old non active volcano in the North West corner of the map. 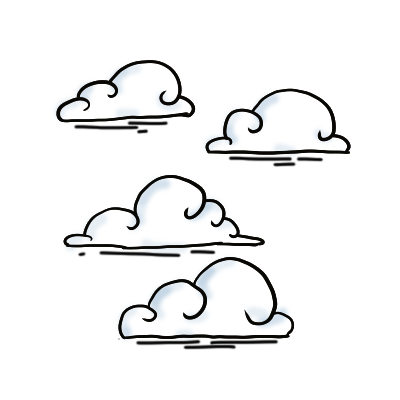 The second symbol is the clouds in the North area of the map. For this I made four different clouds that I used. This area is called “The land of the fire dragons” and is a very misty place that people in the area are avoiding. Of course the villain in the adventure ended up living there, and no trace of dragons. Below you also have the new symbols I made. You are free to use them as you like, both commercially and for home. You are however not allowed to resell the symbols them self. If you want to share them somewhere else please do so but link back to this post please. In a post last year I showed you a map I made for a boardgame I was working on. Well this Christmas I decided to finish the game together with my kids. 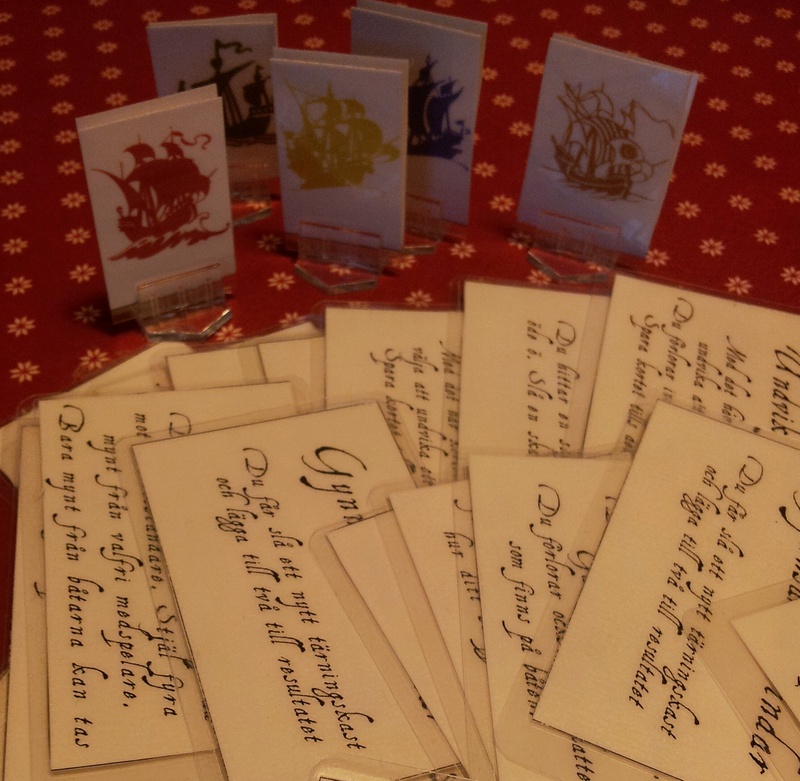 First of all we needed some ships to move around so I printed out different ones from a font I got from one of Profantasy’s Annuals. 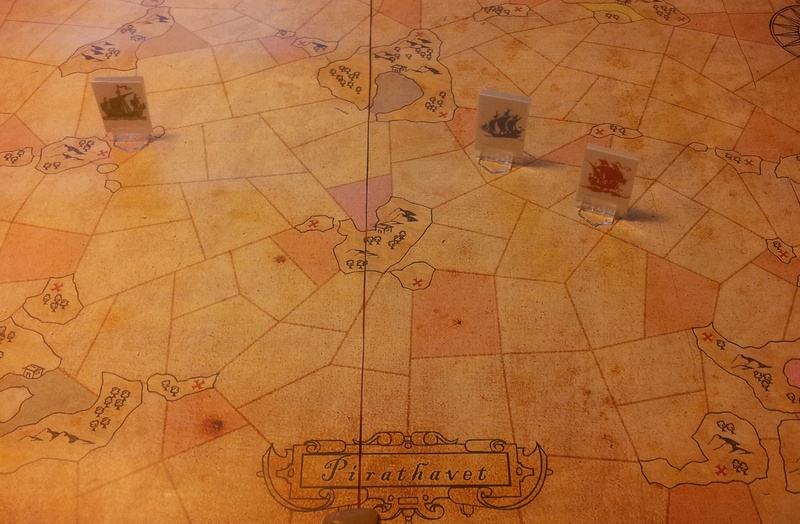 With the ships in place we tested the game but felt that something was missing. So we decided to add in some chance cards and also made rules for sea battles where you could steal each other’s money. The result was a great success. We’re all having a blast playing the game and what I realized through making the game is that it’s not that hard to make one. The main thing to think about is to make it simple. Try to hold the rules to a minimum, the more complex it gets the slower it usually plays. Also the youngest one of my kids I’m playing with is five years old, so I have to keep the rules to a minimum to make it fun for her. I also tried to include the kids in the process of making the game. They helped out with making the cards, laminating the ships, and making up the rules. In this way you naturally will make a game that works for them, and it is also a lot of fun to do something like this together. The only problem now is that my oldest daughter is demanding a game about fairies like tinkerbelle. So it’s back to the drawing board again for a new game.